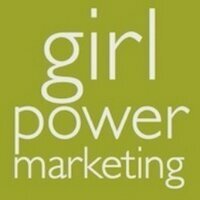 This article originally appeared in Girlpower Marketing. Most experts agree: 2017 is the year for influencer marketing. In fact, 87% of marketers plan to launch at least one influencer marketing campaign in 2017. The reasons that this particular marketing strategy is surging right now are many. The first, and probably the largest reason is social proof. This article was written by Linda Landers from Business2Community and was legally licensed through the NewsCred publisher network.The views expressed in this article do not necessarily reflect those of Twitter or its affiliates.